By default, the Avi Controller creates and manages a single security group (SG) for an Avi Service Engine. This SG manages the ingress/egress rules for the SE’s management- and data-plane traffic. 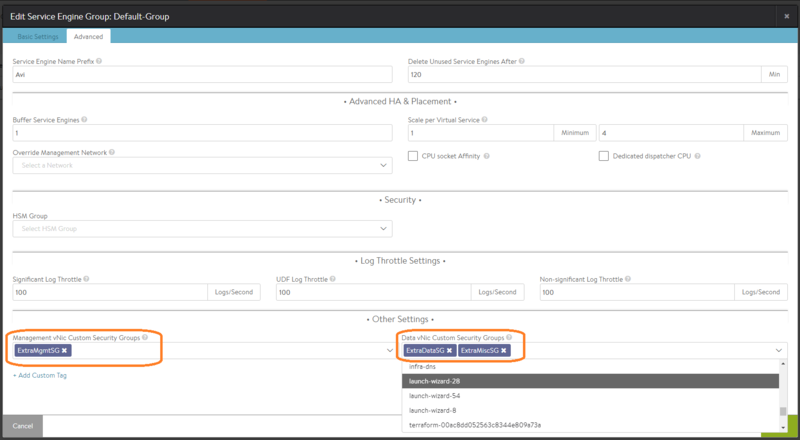 In certain customer environments, it may be required to provide custom SGs to be also be associated with the Avi SEs’ management- and/or data-plane vNICs. Starting with release 17.1.3, this requirement can be satisfied. 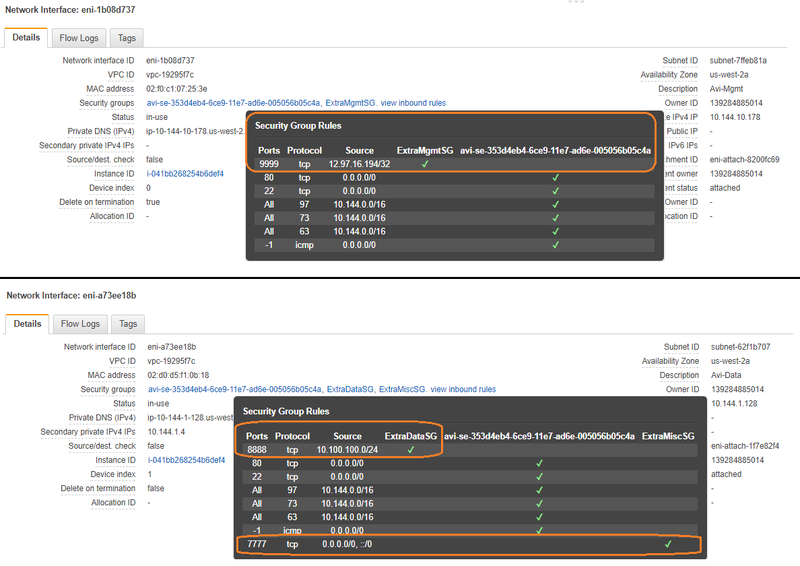 This article shows how to use the Avi SE group’s custom_securitygroups_mgmt and custom_securitygroups_data configuration flags to achieve this extra flexibility in OpenStack and AWS clouds, via the Avi UI and Avi CLI. 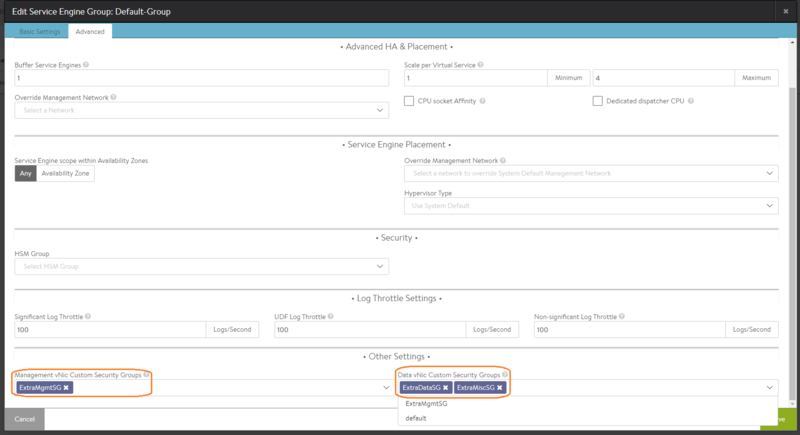 Navigate to Applications -> Infrastructure -> Service Engine Group and invoke the SE group editor. 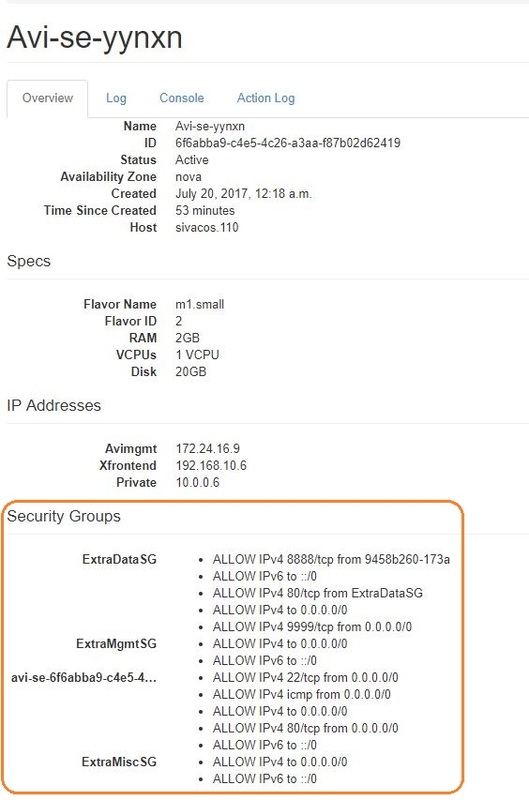 Select the appropriate named custom security groups for the management vNIC and the data vNIC.